One day, Zeus asked Hephaestus to make him a daughter. He would call her Pandora. So Hephaestus made him a beautiful daughter out of clay. Zeus gave her a beautiful little box. They called it Pandora’s Box. The box was guarded with a heavy lock. Zeus then gave the key to her husband demanding him never to open it. 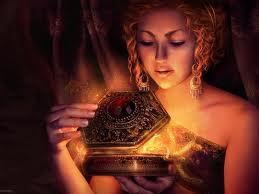 It was a quiet day when Epimetheus (her husband) was sleeping, she was very curious to what was in the box. 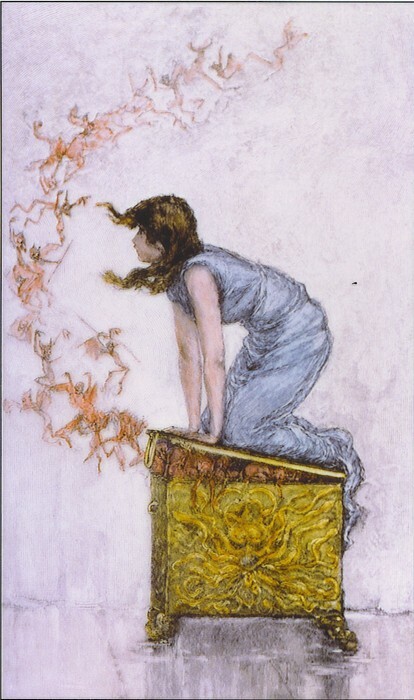 So she stole the key off of Epimetheus and opened the box. When she opened the box disease, sickness, hate, envy and all bad things flew out of it. Epimetheus woke up to Pandora crying, she told him the story of what had happened. She then opened the box to show him the empty space and at that moment when she felt really sorry for herself out flew a tiny little bug, and this is what it said. “Hi my name is Hope thank you for setting me free. And there they were sitting there Pandora had not only let out bad things but she had also let out hope. And that is the story of Pandora’s Box.